I was a little hesitant, but after trying out iOS 4.0.2 for a few days I’m amazed at what it does for the iPhone 3G. Now don’t get me wrong, it’s not going to restore your phone to pre-4.0 speeds, but it does make things faster and fixes a ton of crashes. With 4.0.2 I can actually rely on my iPhone for fast text messages, phone calls, and searches. Plus I can go to FoxNews without crashing Safari The map app takes awhile to load, and making changes takes a second… But once you get the directions up it’s smooth sailing. Like I said, not a magic speed fix, but it does make a HUGE difference. 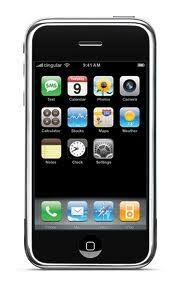 My suggestion, upgrade to iOS 4.0.2 today.